Madrid is full of cool cafés: cosy coffee shops, trendy new juice bars, or small little restaurants perfect for a Sunday afternoon glass of wine or a morning cup of coffee. 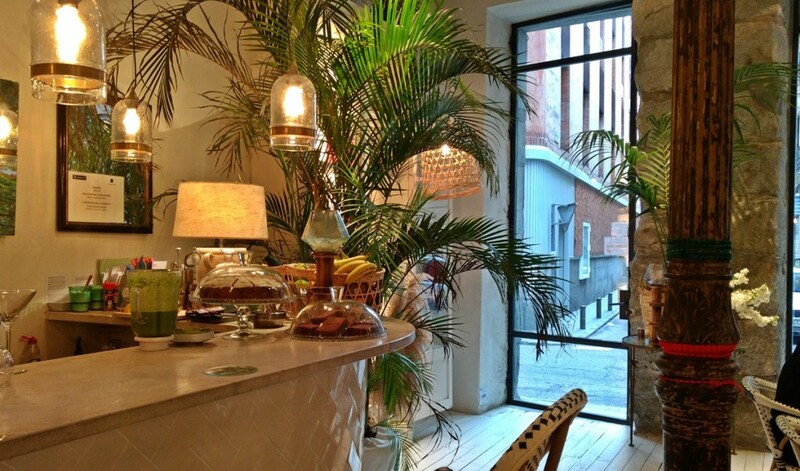 Here’s a hipster guide to Madrid’s best cafés. Raw Coco Green Bar is a new coffee shop/juice bar in the fancy Barrio Salamanca is dedicated to providing healthy delicious food and drinks to the public. They claim to be the first spot to offer cold-pressed juices in Spain, allowing the juices to maintain their nutrients for up to 72 hours. 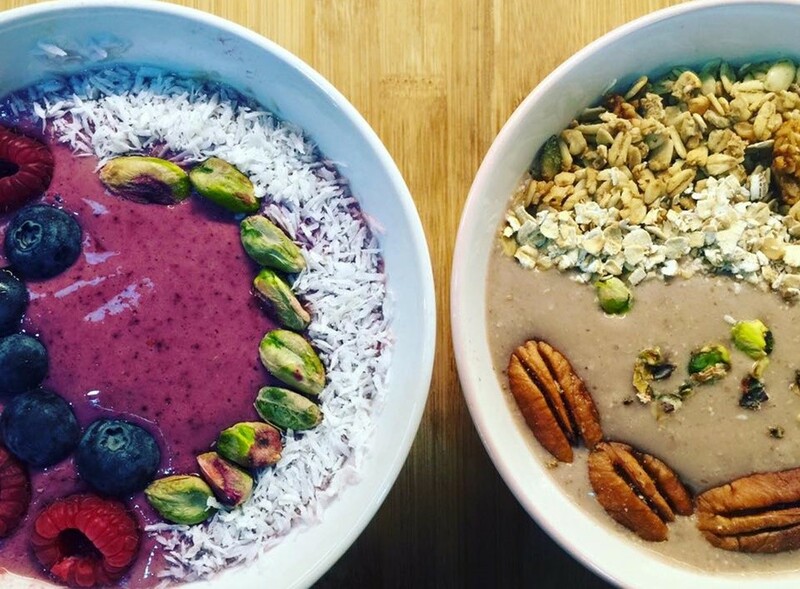 The cuisine is hearty and healthy, like super breakfast bowls with oats, granola, nuts, and fresh fruit and so many juice combinations you won’t know which to select. If you’re feeling under the weather, the Bomba C juice mix will surely do the trick, chock full of vitamins, made from carrots, oranges, ginger, cumin, and camu camu. The décor is light and airy, making this café a great space to meet and relax with friends for a juice. If you’re into things like latte art, you’ll love this sunshine-filled breakfast spot near the Retiro Park. With its bright yellow tiles, the café gives off a retro 1950s vintage kitchen feel. The luminous décor, combined with the café’s delicious sandwiches and creative coffee art (i.e., cool shapes in the foam of your latte), ensures that you’ll want to come back again and again. Oh, and to top things off, there’s fast free Wi-Fi. Quite possibly one of the cutest cafés to ever exist, Pinkoco has a contemporary yet vintage feel (if that’s even possible) at the same time. The safari-style plants and low-hanging light fixtures paired with comfy chairs and couches are ideal for an Aperol Spritz or a ginger tea. It’s not that surprising, though, that the décor is tastefully done, as the café is actually connected to the Pinkoco design shop next door, selling things like gifts, homewares, and natural cosmetics. The desserts are pretty notable, too – try the brownie or the carrot cake. Monkee Koffee focuses on three things when it comes to their café: quality products that are natural and healthy, a focus on customers, and values. By values, they mean taking the time out of your day to enjoy a relaxing coffee or tea and focusing on those little things. Basically, Monkee Koffee is all about giving customers a great experience, and you can feel the warmth radiating the second you walk in. Not to mention, the coffee is always steaming hot and delicious. If you’d like to enjoy some macarons and an artfully poured coffee, head to over to Mama Framboise. A French-inspired café in the center of Madrid (so successful that they’ve opened up a few more locations – now you can enjoy Mama Framboise at the airport, too), this spot is usually packed with all sorts of people: students, professionals, and pretty much anyone with a sweet tooth. 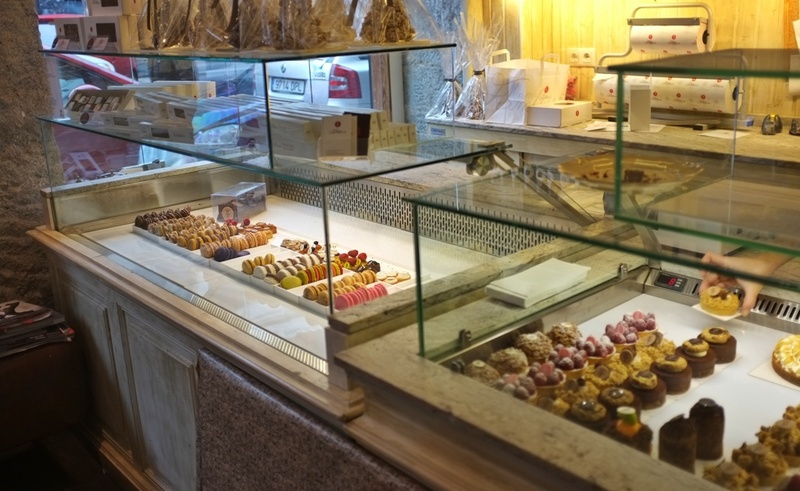 The pastry selection is to die for, and the lively, quaint atmosphere is a nice place to spend a few hours. Situated in the hip La Latina area of town, Boconó is dedicated to making seriously delicious coffee. Selecting and toasting their coffee beans is an art, and they pride themselves on serving the best quality product possible. The café offers a minimalist vibe, and the décor is made from recycled material. If you need a spot to work on your laptop, the ambiance is quiet and welcoming.